Of the thousands of known exoplanets, Kepler-452b has the most ideal combination of UV light exposure and conditions for liquid water. 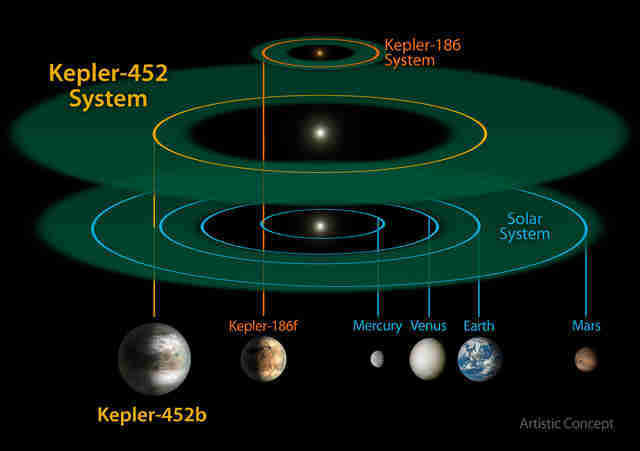 But a new study narrows down the dozens and dozens of exoplanets that might support life to just one — Kepler-452b. It's in the sweet spot near its star, a zone warm enough for water to flow on the surface, yet far enough away that UV radiation from its star won't kill possible life. Kepler-452b," study leader Paul Rimmer, a post-doctoral researcher at the University of Cambridge, said in an email to Seeker. The researchers began their search not by looking at distant stars, but by examining the building blocks of life on Earth. The origins of the new work came from a 2015 study examining what would happen when meteorites laden with carbon hit the atmosphere of the young Earth. When the carbon in the meteorite reacted with the nitrogen of Earth's atmosphere, a rain of hydrogen cyanide fell to the surface. A series of chemical reactions — fueled by the sun's UV light — created the building blocks of RNA, an essential building block for life. Rimmer's team wanted to see how quickly these chemical reactions would happen. Using UV lamps in a laboratory, they radiated hydrogen cyanide and hydrogen sulfite ions in water — a method known as "light chemistry." They even tried running the same experiment in the dark, without the benefit of UV light. The chemical reactions in the dark are known as "dark chemistry." The researchers found that in the dark, an inert compound was produced — one that couldn't be used to forge the building blocks of life. But the researchers did see the building blocks form under ultraviolet light. With a better understanding of light versus dark chemistry, the researchers then turned to the stars. They looked for information about the UV light produced by different stars, and how much light would fall upon planets orbiting them. "We compare the UV light of the stars to how much UV light is needed for the light chemistry to win," Rimmer said. He added that the winners tended to be warm and hot stars. Cooler stars, like the red dwarfs orbited by the planets Proxima Centauri b and Ross 128b, would need flares to produce enough UV chemistry, but not so strong as to wipe out life on the surface. 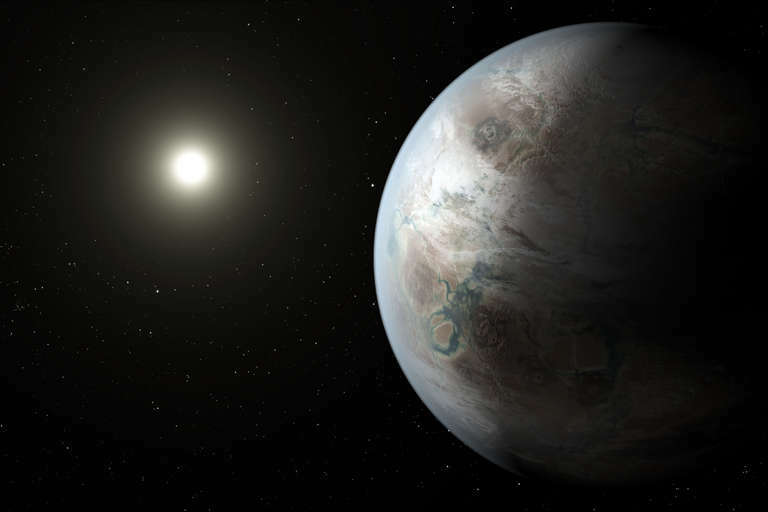 And so far, just one planet appears to fit the criteria for UV light and habitability: Kepler-452b. Rimmer cautioned the search is just beginning, though. The Kepler Space Telescope is low on fuel and nearing the end of its lifespan. But NASA just launched a successor mission called TESS (Transiting Exoplanet Survey Satellite). The satellite will scour the sky for planets orbiting bright and nearby stars. So it may find even more worlds with the right combination of conditions for supporting life.